Drinktanks: Perfect Growler - 128 fl. oz. Perfect Growler - 128 fl. oz. Premium craft beers deserve a premium container. 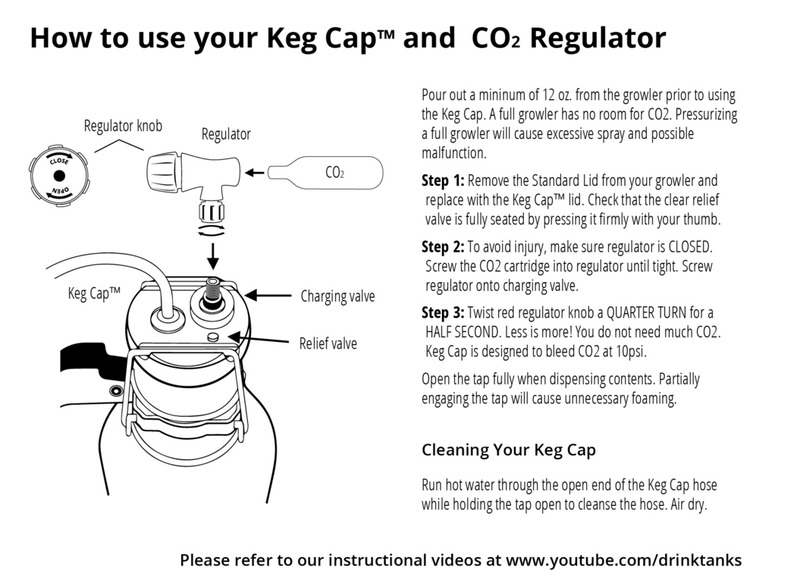 The DrinkTanks Growler features double-walled vacuum insulation and a leakproof dual-bail cap system that preserves the carbonation far longer than any screw cap. Beverages stay colder longer with no loss of flavor. Dimensions (in packaging): 10" x 10" x 17"
Dimensions: 5.25" x 2.75" x 7"; Hose Length: 40"
Gave this to the boss for Christmas and it was a big hit! Bought the dispenser valve also, which he really appreciated. Good purchase. Not since 1887 has craft beer been as popular as it is today. With more and more breweries springing up across the country, Founder Nicholas Hill and his dad saw the need for a container made with the same level of quality and care. They got to work, and after his father passed away in 2013, Nicholas continued their work and brought DrinkTanks to life with crowdfunding. 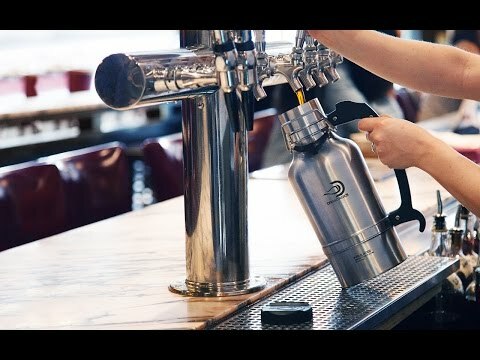 Manufactured from high-grade stainless steel, the Growler features double-walled vacuum insulation and a revolutionary leakproof dual-bail cap system that preserves the carbonation far longer than any screw cap. Cold beverages stay cold for up to 24 hours without any sweating or condensation and they stay fresh for up to a week in the fridge. And because the beverage only touches steel, there’s no loss or alteration of the premium craft brew taste. 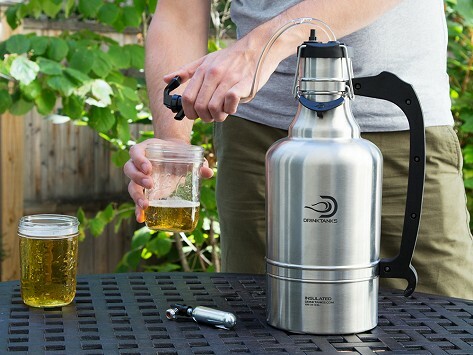 Dishwasher safe and BPA-free, the DrinkTanks Growler is a great-looking way to present and store premium brews. Perfect Growler - 64 oz.